Everyone seems to love bears. Teddy bears are popular stuffed animals that almost every child owns; and when people go on vacation to national parks that are habitats for bears, the visitors can't wait to spot one of the live "Teddy bears." What people need to remember, though, is that a live bear is not a stuffed animal. According to Get Bear Smart Society, bears are generally not aggressive towards humans unless they feel like their "space" is being encroached upon or if a mama bear is out with her cubs. Bears are also very curious and have a great sense of smell. Food that is left out around a campground is an invitation for a bear to come and explore and see if the morsels left behind are any good. 1. What you lookin' at? 2. 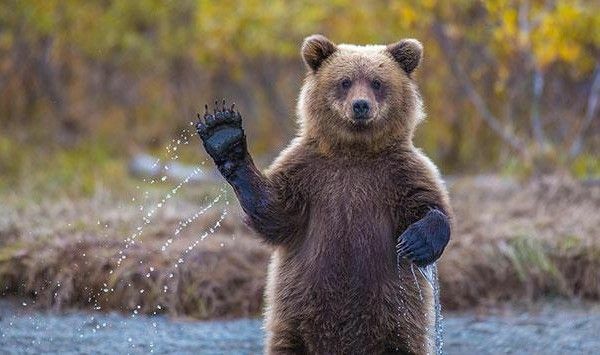 Wave "hi" to the camera! 3. Mr. Bear is enjoying a sunny morning relaxing on his back porch, watching the neighbors stroll by. 4. Oops! I guess they really did mean ice was out here! 5. 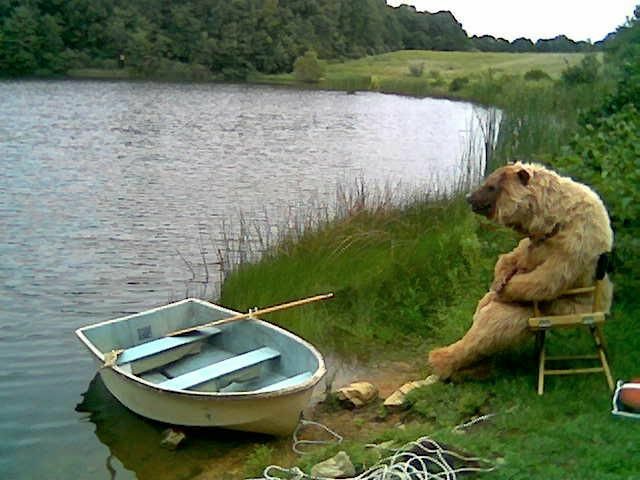 A bear sitting back, enjoying the peace and quiet on a Sunday afternoon. 6. A bear's curiosity is seen here. 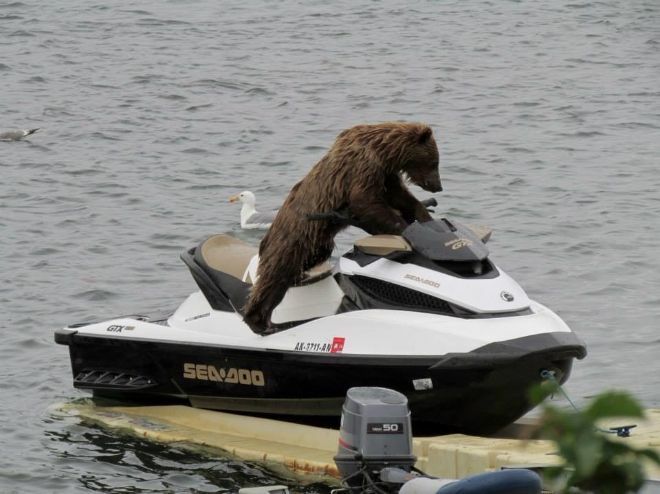 He may be in for a big surprise if he manages to get the Sea-Doo started. 7. Oh Yeah! Look, I'm winning! Now, I'm winning the other direction! 8. 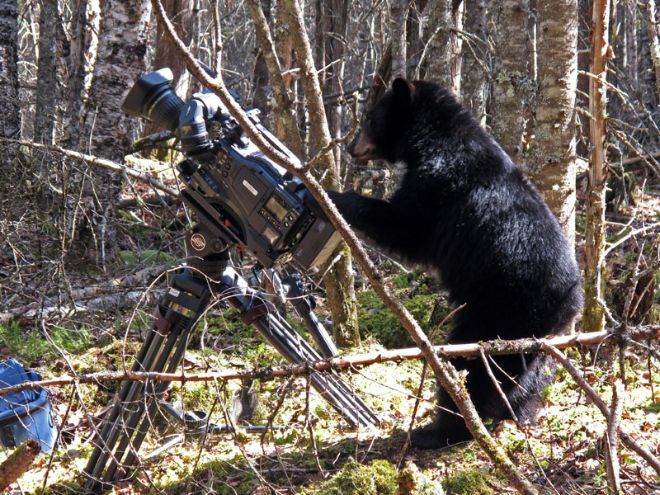 Wanting a chance to show humans what it feels like to be the subject of so many pictures, the bear decided to turn the tables and steal a camera for a photo shoot. 9. Excuse me. This is my stop. 10. Since I can't get my paws on a real phone, this will have to do. 11. 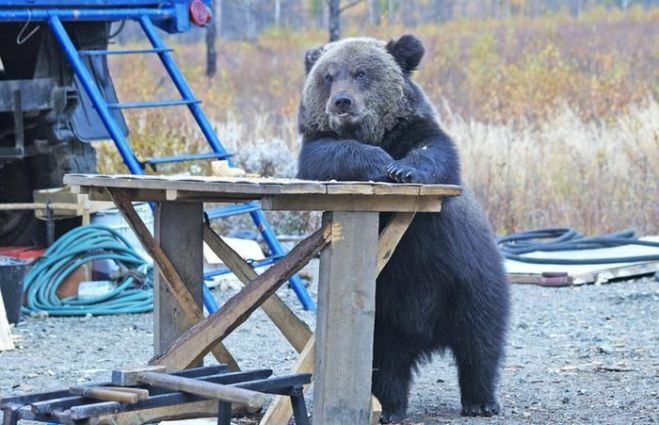 Is that a bear walking like a human, or a human dressing like a bear? 12. All right, honey. I'm ready to go. Bears are curious creatures and like to explore their surroundings looking for tasty tidbits. With the weight of the black bear being 600 pounds (280 kg), according to Bear With Us, please remember to be smart and give the bear his space. Although people may think of bears as giant Teddy bears, they are still wild animals; they can still be enjoyed, though, when allowed to move around in their "bubble." 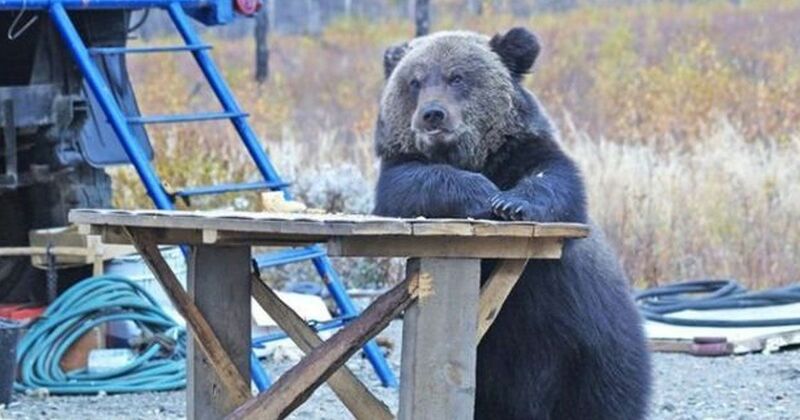 Camera captures what bears do when nobody is looking.